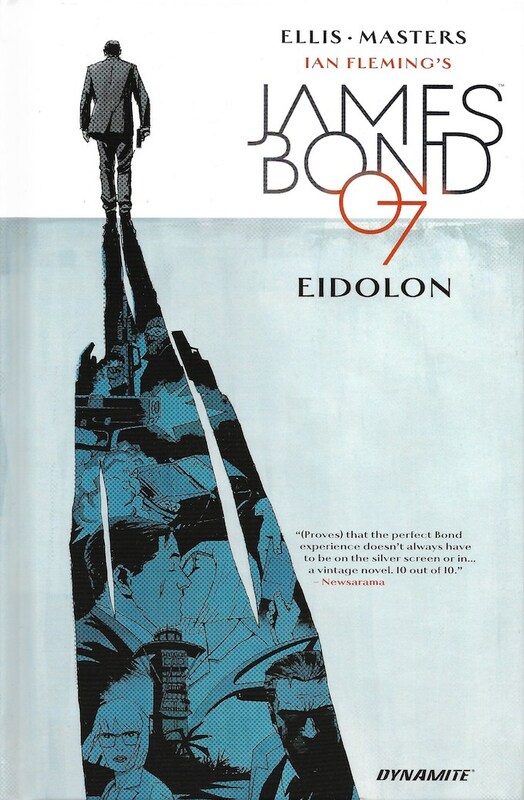 A paperback edition of Dynamite's second collected James Bond 007 story arc EIDOLON is out now. Collecting issues #7-12 of the ongoing James Bond comic book series written by Warren Ellis, the New York Times bestselling author of Gun Machine and critically-acclaimed comic book writer (Iron Man, Planetary, Astonishing X-Men), and featuring artwork by Jason Masters (Batman Incorporated). Purchase the paperback James Bond 007: EIDOLON at Amazon.com (U.S.) and Amazon.co.uk (UK).